Your roof and solar: what kind of roofing is most suited for solar panel installation? Home/Blog/Your roof and solar: what kind of roofing is most suited for solar panel installation? One crucial part of that planning is making sure that your roof is suitable for solar panel installation. Decided to make the switch to solar? Good for you. It’s one of the best investments you can make, not only for you wallet, but for the environment, too! Wondering how your building, factory, or office roofing material impacts solar installation? We uncover all you need to know. What type of roofing is well suited for solar power installation? Now, we’re not saying that if you have, say, wooden shingles you can’t go with solar – modern solar panels are light enough to be installed on any type of roof. However, getting it to work on certain roofs takes a strategic – and often slightly tweaked – approach. The reason for this is because different roofing materials present unique installation challenges. This determines how many solar panels can it support, as well as how long your installation will take. If you ask us, metal roofing is one of the best choice for domestic solar panel installation. The reason is because in most cases, installing solar panels on a metal roof requires absolutely zero drilling into your roof structure. That’s because metal roofing sheets are already held in place by roof screws. 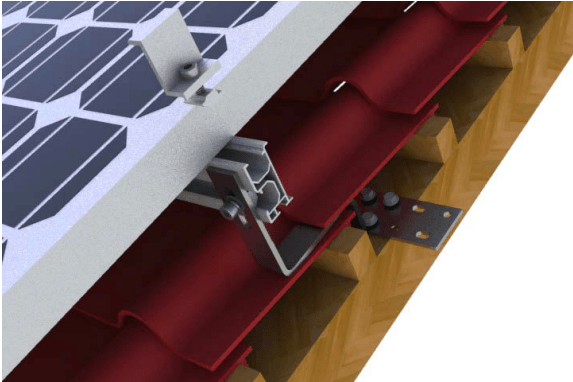 In most cases, your solar installer simply reuses these roof screws to attach solar panels. Once your mounting brackets are in place, the only thing we’ll need to do is seal it to remove the risk of leaks. When it comes to office buildings and other commercial properties with flat roofs (most of them! ), Klip-lok profile tin roofing is the common surface. Luckily for your business, commercial solar panel installation on these flat roofs is straightforward. 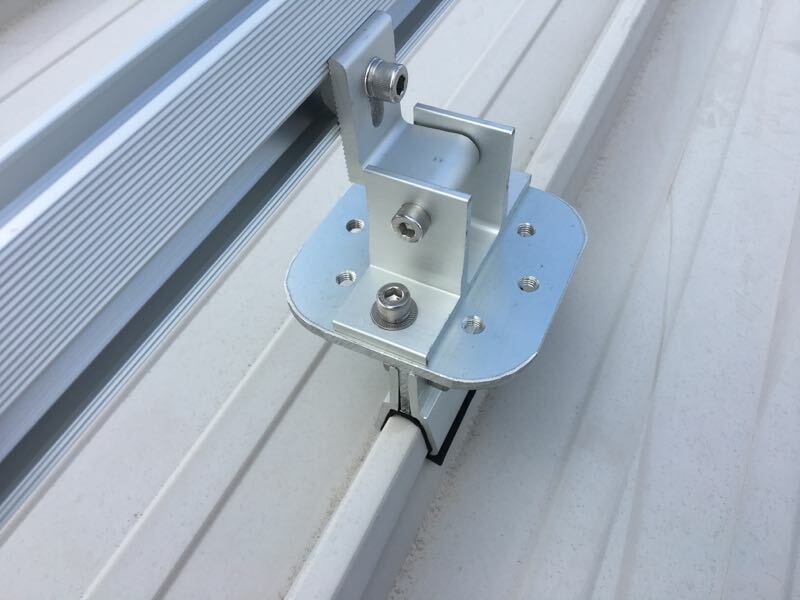 Without any angles to contend with, mounting brackets simply grip the ribs in the roofing sheets, meaning zero penetrations into your flat roof. 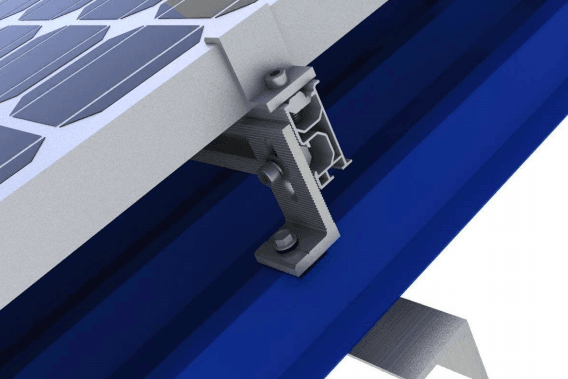 In some cases, you might additional tilted frame mountings to get the most out of your solar. However, installing these mountings is much more straightforward than if we were doing it on a pitched roof! Tiles are easily one of the most common roofing choices in Australia. And it isn’t hard to see why – they’re strong, long-lasting and they’ve got that fantastic classical look! When it comes to solar panel installation however, tiled roofs present some unique requirements. Beyond that though, tiled roofs can be made using a whole range of different materials (tera cotta, concrete, clay), each with its own qualities. Make sure to contact your solar panel installation expert, who will help you determine the right type of solar panel for your specific tiled roof. 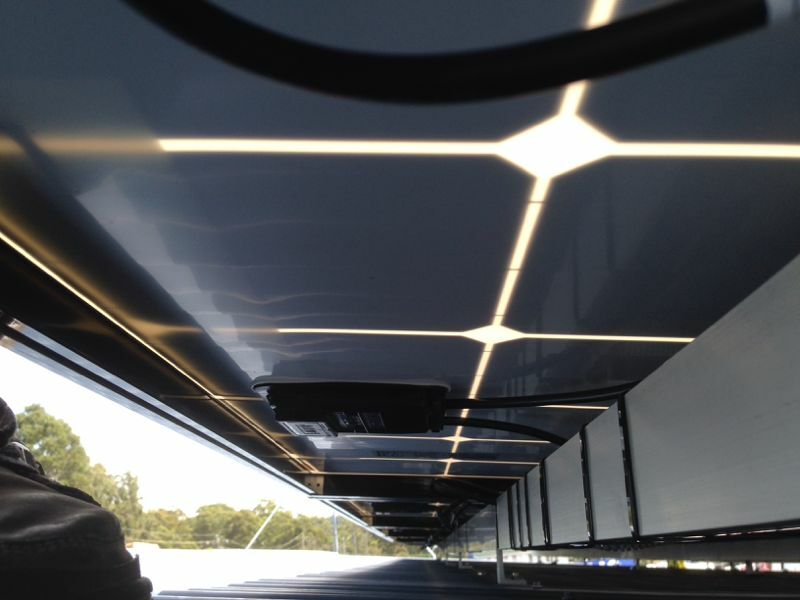 Call Pacific Solar today on (03) 9532 3836 to chat to our experts! Roof material is just one of the things your solar experts look at during the critical consultation stage of solar panel installation. Each of these impact the success of your solar panels. As such, they need to be carefully accounted for! The next step? Getting in touch with a solar panel installation expert. Whether you’re a homeowner in the NSW Sapphire Coast or a business anywhere in Australia, Pacific Solar is your go-to team for solar panel installation. After thorough consultation which includes taking a look at your electrical meter and performing an on-site inspection, we design you a tailored system that perfectly balances energy with cost. Our work continues long after the final panel is put in place too. We provide regular reporting that tells you exactly how much money your solar panels are saving you. Contact Pacific Solar on (03) 9532 3836 or fill in this form to unleash the power of solar!